The hard drive was being held by EDS, which is the Ministry of Defence's main IT contractor. The MoD said it was told the drive was missing on Wednesday following a priority audit carried out by EDS. It is thought to contain more than 1.5m pieces of information, including the details of 600,000 potential recruits. MoD police are investigating the drive's whereabouts, but it is not yet known whether or not it was stolen. A ministry spokesperson described it as a "potential" loss of data. It is understood the drive was not encrypted. EDS said in a statement that it was "unable to account for a removable hard drive that was held in a secure location at our facility in Hook" - a reference to the company's premises near Basingstoke, Hants. The company added: "There is no evidence that security at the site has been breached." 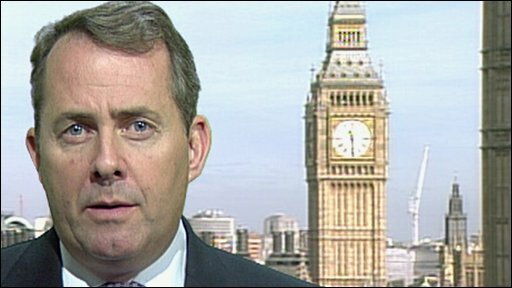 Shadow defence secretary Liam Fox said the latest loss showed the government's attitude to military personnel data was "reckless". "The MoD has a very poor record on keeping sensitive and classified data secure. This latest scandal is yet another example of poor operational security within the department. "For very obvious personal and national security reasons the MoD must ensure that it handles the records of our Armed Forces personnel with the highest care. "Once again, the loss of so much confidential information shows the reckless approach this government takes with our personal information." The missing drive is the latest information security breach to hit the MoD. In July officials revealed 658 MoD laptops had been stolen over the past four years and 26 portable memory sticks containing classified information had been either stolen or misplaced since January. MP Nigel Evans, chairman of the All Party Parliamentary Group on Identity Fraud, said: "This is yet another example of the serious implications the loss of personal data can have for the general public. "The fact that it has been revealed during National Identity Fraud Prevention Week is ironic. The loss of such important information including bank details, passport numbers and dates of birth will be music to the ears of fraudsters everywhere. "It is vital that there is a cultural change across the public sector with all professionals aware of their responsibility to protect and manage personal data." 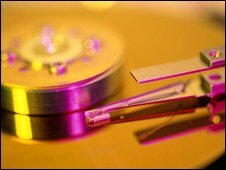 A spokesman for the MoD said: "On 8 October we were informed by our contractor EDS that they were unable to account for a portable hard drive used in connection with the administration of Armed Forces personnel data. "This came to light during a priority audit EDS are conducting to comply with the Cabinet Office data handling review. The MoD Police are investigating with EDS." The hard drive was being used as part of a test and was attached to TAFMIS, the Armed Forces training and financial management information system. The MoD are carrying out further tests to see if it can determine whether any data was transferred onto the missing hard drive.